If you feel anxious or fearful about going to the dentist, you are not alone. A large number of children and adults suffer from some degree of dental anxiety. Unfortunately, this is what keeps many patients from getting the dental treatments their smile needs to stay healthy and beautiful. At Town Center Dental of LaGrange, we have equipped ourselves to handle patients with dental fear or anxiety. Our menu of options in sedation dentistry allows patients of all ages to enjoy a relaxing, stress-free visit to the dentist. Dr. Paes is gentle, compassionate and qualified to offer both oral conscious sedation as well as IV sedation, depending on your needs. Oral conscious sedation offers a mild to moderate level of sedation that is between nitrous oxide inhalation and deeper IV sedation. This type of sedation method involves taking a prescribed pill before you come to the dental office. Dr. Paes can prescribe a low dosage oral sedative that allows you to remain awake and able to communicate with us, yet also very relaxed and worry-free. You must bring a friend or family member with you to your appointment when participating in oral conscious sedation so that they can drive you home after your procedure. It can be difficult to find a dentist who is qualified to administer IV sedation. 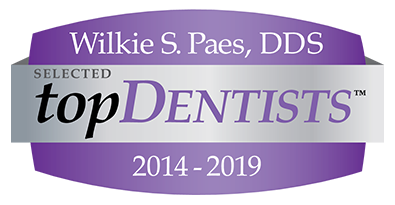 Dr. Paes offers IV sedation to patients who are severely anxious, those with special needs and to those that are undergoing a lengthy or complex dental procedure. IV sedation can always be titrated and controlled throughout your procedure. It is a safe and highly effective form of sedation that we are proud to offer at Town Center Dental of LaGrange. Needing sedation dentistry is nothing to be ashamed of. At Town Center Dental of LaGrange, we want to know your specific concerns and areas of uneasiness about receiving dental care. Whether you suffer from a severe gag reflex or had a bad dental visit as a child, we will do our best to eliminate your anxiety and give you the comfortable and rewarding experience you deserve. Our modern patient amenities and cutting-edge technology also support our mission to put your comfort first. To determine which level of sedation dentistry is best for you, contact Town Center Dental of LaGrange today.